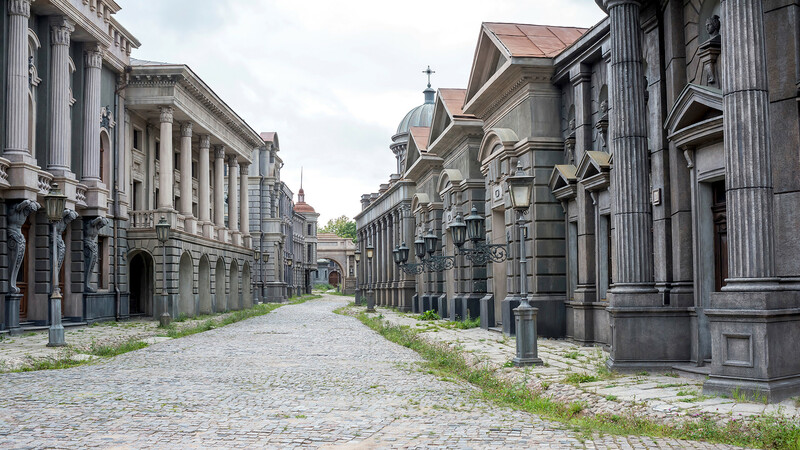 For almost a century Moscow’s Mosfilm studio - among the largest in Europe - has produced more than 2,500 movies. The likes of Sergei Eisenstein, Andrei Tarkovsky, and Fyodor Bondarchuk have plied their trade here, not to mention many other legendary directors. 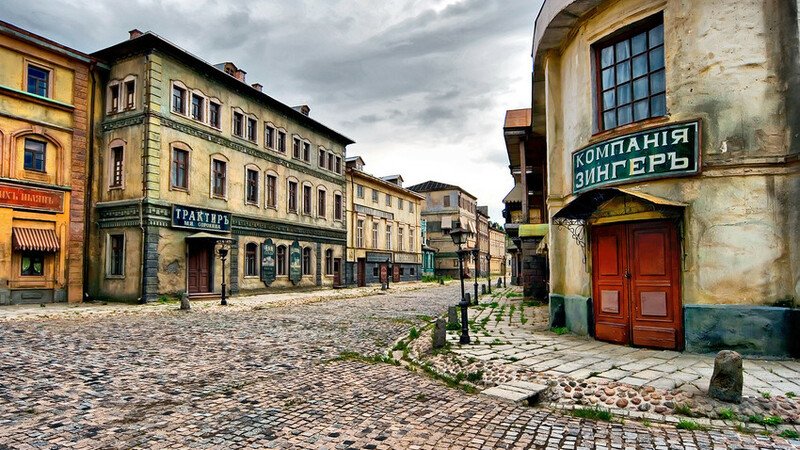 Here are some of the most interesting things about Mosfilm. Founded in 1923, Mosfilm is basically a Hollywood studio in Russia boasting an area of 34 hectares. It’s open to the public and is a great place for tourists - studio tours take place several times a day. There are 15 film pavilions, the biggest of which is 2,000 square meters and hosted the first ball of Natasha Rostova in War and Peace - as well as many other legendary movie scenes. 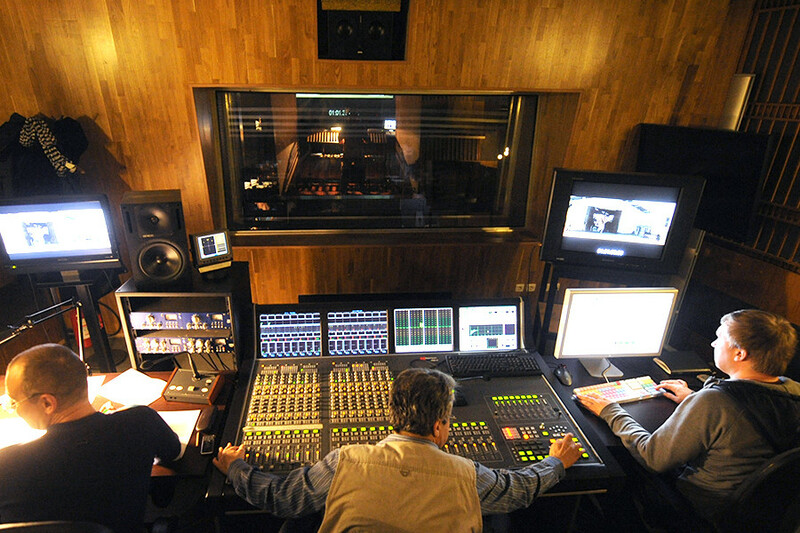 Mosfilm also houses a music studio where all the scores are made. It was designed by Tom Hidley and can host a large symphony orchestra and 100-strong choir. You will also find the sound design and montage studios, costume and decoration departments, a museum, working vintage cars, a film scenery complex, and even a huge greenhouse to grow flowers for certain films. A version of the giant sculpture “Worker and Farmer Women” by Soviet artist Vera Mukhina symbolizes Mosfilm. The artwork itself weighs 185 tons and was created for the Soviet Pavilion at the 1937 World Exhibition in Paris. It was chosen to represent Russian cinema after WWII in 1947 so Mukhina made a small copy, the image of which appears in the opening and closing sequences of all Mosfilm productions. The first film to feature the artwork was Grigory Alexandrov’s Vesna (1947). The studio has a huge archive of scenarios, film documents, shooting plans, set and design lists, sketches and descriptions of scenes, cast albums, and even architectural design projects for film sets which have been made here throughout the years. There’s are also footage and photos from the sets. 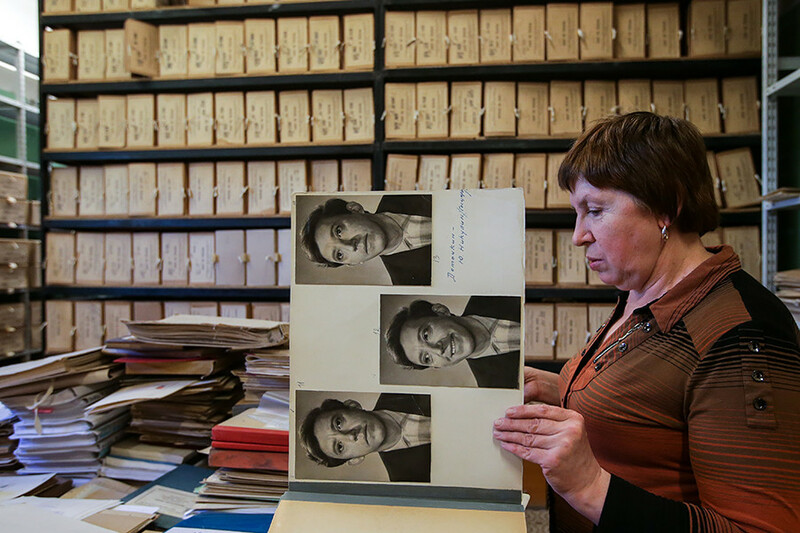 The archives are open to the public and they’re heaven for those studying Russian cinema and film buffs. When we visited them for Secrets of Moscow we had a look at the production plans of Solaris (1972) by Andrei Tarkovsky and a castbook from another of his movies – Andrei Rublev (1966). “This is called a production project, which needs to be done before every film. This project has the detailed description of each scene, costumes, requisite, sets, and much more. Here you can see the architecture of the sets as well. Everything in order for us to feel like you are in a space station,” explained Gayane Ambartsumyan, head of the Mosfilm-Info Centre, while showing us Solaris film documents. Surprisingly, outdoor sets are normally destroyed after filming is over - the most beautiful and expensive parts of each film can’t preserved. “This is one cruelty of film shooting … But if we keep them all we won’t have space to shoot future films,” Vladimir Ryasov, Mosfilm first deputy general director, said. Fortunately, the old Moscow and St. Petersburg sets dodged demolition. They have been carefully preserved and are used by many contemporary directors. Last year Anna Karenina was made here by Karen Shakhnazarov. In between films the sets are open for tourists. Moscow’s dream factory has made thousands of films that have become classics all over the former USSR. Mosfilm's work has even received Oscar awards and has truly developed the art of filmmaking in Russia. Sergei Eisenstein, Andrei Tarkovsky, Fyodor Bondarchuk, and many other famous directors have worked here. Among Mosfilm’s Oscar winners are War and Peace (1967) by Sergei Bondarchuk, Dersu Uzala (1975) by Akira Kurosawa, and Moscow Doesn't Believe In Tears (1979) by Vladimir Menshov, among others. Each year Mosfilm hosts up to 120 films at different levels of production. If you want to learn more about Mosfilm, have a look at our program dedicated to Russia’s very own Hollywood.